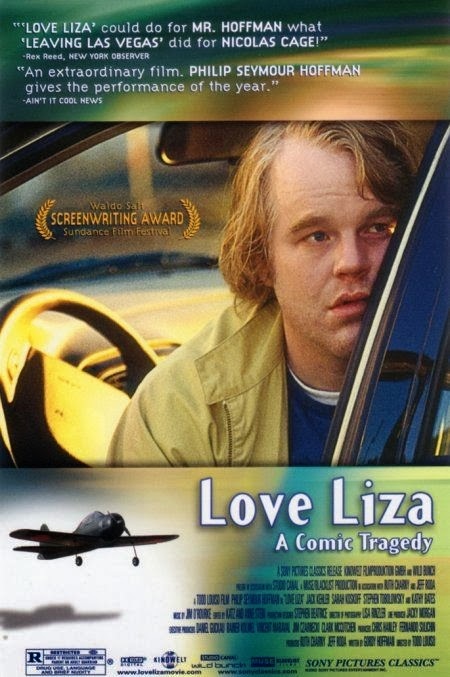 The Rockport Film Review: Phillip Seymour Hoffman Tribute "Love Liza"
Phillip Seymour Hoffman Tribute "Love Liza"
Phillip Seymour Hoffman's death at the grip of drug addiction has taken another supremely gifted artist from this world. 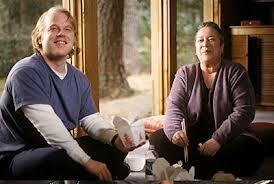 Hoffman's work in film and sage will be sorely missed. From his everyman looks to his grasp of the human condition he was definitely a king among men. For my next bunch of reviews, I'll focus on many of the smaller independent films that Hoffman so often shined. In 2001's "Love Liza" a man struggles to deal with the sudden suicide of his wife (Liza) and his personal spiral into some deep dark places. The examination of his life and his questionable future The film was directed by Todd Louiso and co-stars Kathy Bates and Jack Kehler. It also won the Screenwriting Award at Sundance. Wilson Joel is your typical geeky web developer who comes home to find his wife has killed herself, leaving him with a bunch of unanswered questions. Was it his fault? How could this have happened? He is consumed with grief and looking for a way out he starts huffing gas fumes to get high. Instead of food, he keeps a red plastic gas can in his fridge. "Do you smell Gas?" is a question heard more than once. The plot revolves around a suicide note that he can't bring himself to open. Wilson's mother-in-law, Mary Ann (Bates), grieves the loss of her daughter and her relationship with Wilson is pretty awkward, to say the least. Does she blame him? Everybody at work is very supportive of his situation but after one of the many lies, he tells a new "best friend" is forced upon him. Thinking that Wilson is into radio control planes, Denny (Kehler) a real enthusiast, comes over to see his plane. Wilson wants nothing more than to be alone and huff gas, passing out wherever he may be. He is going down a tough road and needs a friend, but most people are not willing to get him the help he really needs. He buys a plane from a hobby shop and starts to huff the special fuel that they run on. He and Denny have some fun together at a Radio Control competition and discuss his situation. He has to read the letter eventually but when? and where?